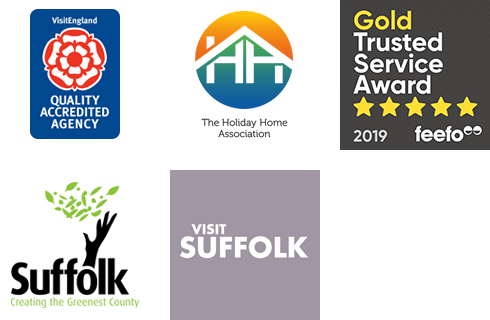 We're delighted to welcome a brand new selection of Southwold holiday cottages to the Suffolk Secrets portfolio following the recent acquisition of local letting agency Acanthus Holidays. This fabulous collection of holiday homes joins our Southwold portfolio of over 190 properties and includes something for everyone. Perhaps you're looking for a seaview apartment for two, or maybe you fancy a break with the whole family and need something bigger. Take a look through our brand new Acanthus Holidays properties on this page. For our full Southwold collection take a look here. Located on Southwold's high street, you couldn't be more central; shops, restaurants and the beach just minutes away. This former fishing cottage really is a home from home, it even comes with a shared garden to enjoy. 7 The Craighurst is perfectly situated, with panoramic sea views, the beach on your doorstep and Southwold high street just minutes away. This accomodation is stylish and spacious with your own private balcony. Sleeps 2. Situated in a sought after location, overlooking Southwolds' common and just a stroll away from the shops and restaurants. Heathside sleeps 3 people, accepts a dog, and also offers a small courtyard. This stylish hideaway is the perfect cottage with private parking, a small courtyard as well as wifi, this property ticks all the boxes. Perfectly located with all that Southwold offers minutes away. Dogs welcome too. A wonderfully furnished holiday home in the popular village of Reydon, with all the ingredients a family of 4 could need for a holiday on the coast. A stunning property in the heart of Southwold. Set back from the road this property boasts private parking for 2 cars, and sea views from the bedroom. The beach is on your door step, and the shops close by. Dogs welcome. Ideally situated close to the sea and shops, Lavender Cottage has all the ingredients for a truly memorable family holiday in the very heart of Southwold. A lovely and welcoming semi-detached cottage with wonderful garden, Marigold Cottage is situated in Reydon. Just a short walk or drive from the Southwold coastline. With views overlooking Bartholomew Green and St Edmunds Church, The Cornerstone is an ideal retreat for those looking to stay in the centre of the seaside town of Southwold. A charming house just a short distance from the sea in Southwold, Trinity Cottage is an ideal abode for 4.